Blueprint plan racks provide fast and easy access to active documents in work environments. They provide the same storage as rolled storage on a smaller footprint, holding 1200+ drawings. While flat file cabinets offer more protection and volume of storage, vertical plan racks offer superior mobility that can place plans precisely where they are most needed on a job site or other work environment. This filing system was expertly designed to conveniently and safely store, organize, and transport plans and blueprints. Made to accommodate large documents, hanging clamps of 24”-42” in length can be used in the plan center, which also has a height of 51”. It is a blueprint plan rack not only built to last with its steel construction, but built for ease and diversity of use. 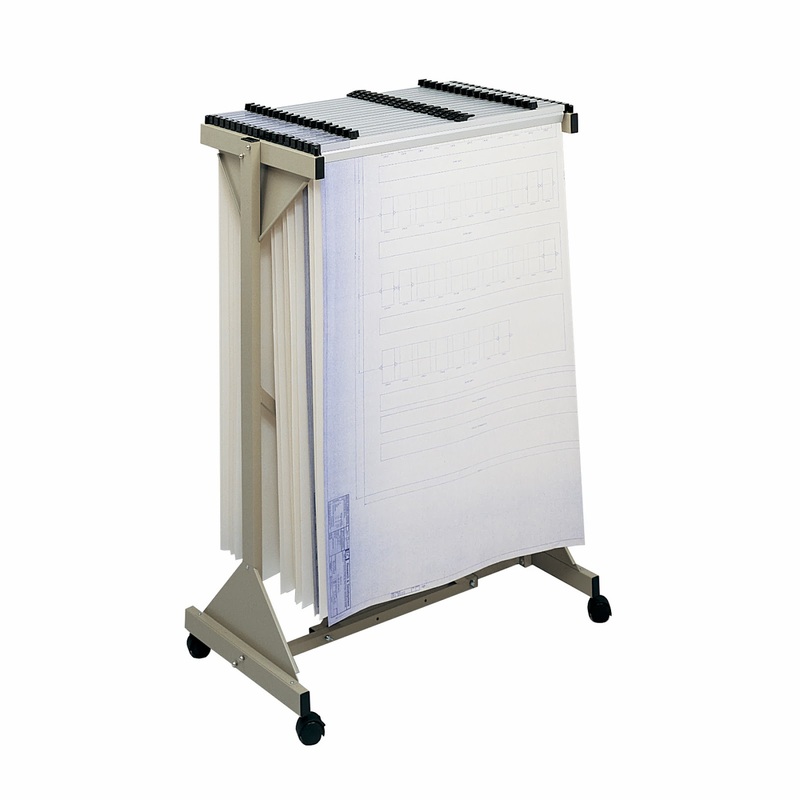 It will hold up to 18 clamps, supporting a wide range of document sizes up to 42”x 50”. 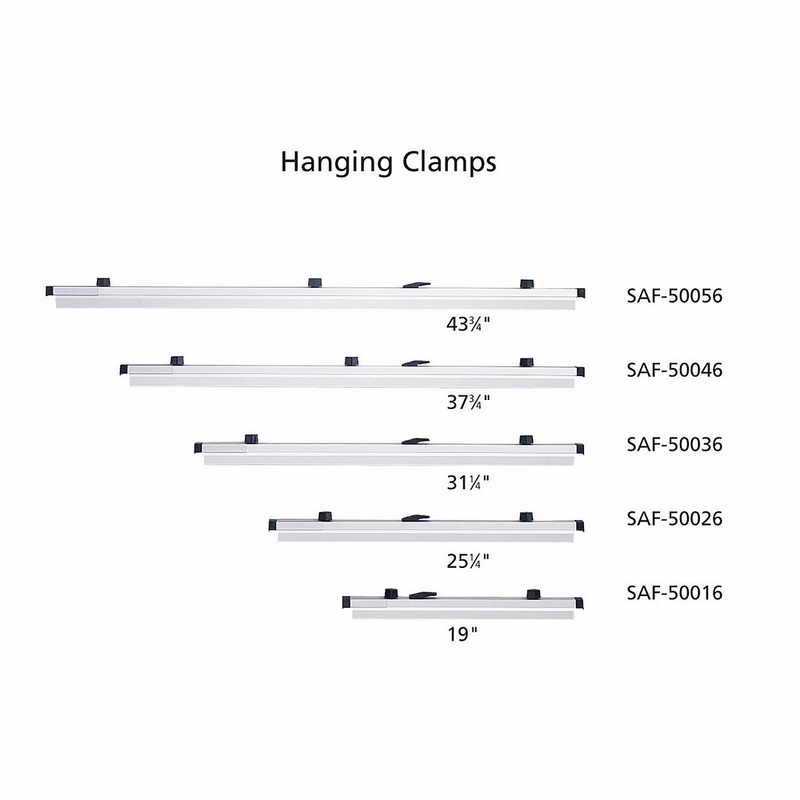 The compatible clamps are the Safco standard hanging clamps or the Planhold print-lock hanging clamps, both of which hold up to 20 lbs (100 sheets) and come in packages of six. Despite the large capacity of this blueprint rack, it remains easily mobile on four ball bearing swivel casters, two of which lock to hold the vertical rack in place when not in movement. All in all, this blueprint stand is ideally suited to a multitude of environments due to its versatile design. It safely stores and organizes important plans and blueprints, yet maintains ease of access to documents. It has a large storage capacity, yet enables plans to be easily mobile and transported to wherever they are needed.